Amcal has acquired a parcel of land at 300 S. Second St. where it will partner with Barry Swenson Builder to build a student housing project. This is the site with the original TechShop location near SoFA. The new building could rise up to 20 stories and house 800+ SJSU students. Each of the 235 units would have four bedrooms (each with their own bathroom), a shared kitchen, and a common area (living room). Amenity-wise there would be a resident assistant (RA) on each floor, study rooms, a fitness center, business center, and a pool. 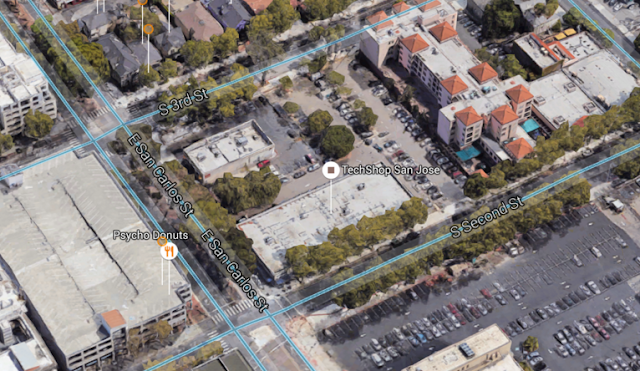 There would also be some retail fronting San Carlos Street. The project would welcome anyone, but it is obviously targeted at students. Rent is expected to be around $1,000/mo, a bargain for Silicon Valley. A project of that scale would considerably add to the activity and vibrancy in Downtown San Jose--especially in the SoFA area which is already booming. The soonest it would be open for business would be the fall of 2019 or 2020. Hopefully we will see some innovative/progressive architecture being it's for a younger demographic.